ReLuminous is a business intelligence firm focused exclusively on the multifamily industry, managed by professionals with years of experience working inside a major Real Estate Investment Trust (REIT). Our collective experience blends equal parts property operations, operations support and information technology. We've learned the business from within; leasing apartments, managing individual communities, managing community portfolios, running the pricing function, designing enterprise database architectures, directing the enterprise BI program, directing the enterprise analytics function, and training power users. We've spent years on both sides of the fence - in external consultant roles and internal leadership roles. 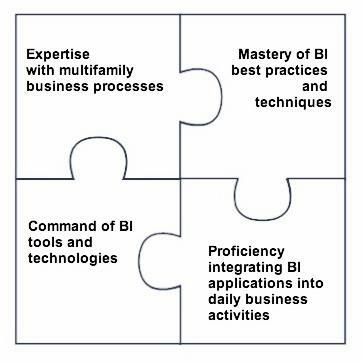 So we have a very unique perspective on the application of BI to the multifamily industry. We help companies design, implement, maintain, and evolve their Business Intelligence Portfolio with services that range from simple program assessments to entire end-to-end solutions. Complete BI Portfolio design, implementation, maintenance and training. Business intelligence assets presented and managed as a BI Portfolio as adopted from Jill Dyche, VP of Best Practices at SAS. We approach BI architecture as consultants the same way we approached it in-house... to lower risk by utilizing pervasive technologies, methodologies and best-practices. While our aim is to cultivate long-term relationships with clients, we build our portfolios with the goal of transparency. Any experienced BI professional should find our constructs familiar - from our by-the-book Kimball data models, to our data integration code, to our dashboards and reports inspired by the published works of Edward Tufte and Stephen Few. We are not attempting to reinvent the wheel; we simply aim to build the portfolio as effectively and efficiently as possible, using the appropriate (and most cost-effective) tools for the job. We favor a modular approach, using established, widely-adopted, and well-supported technologies. 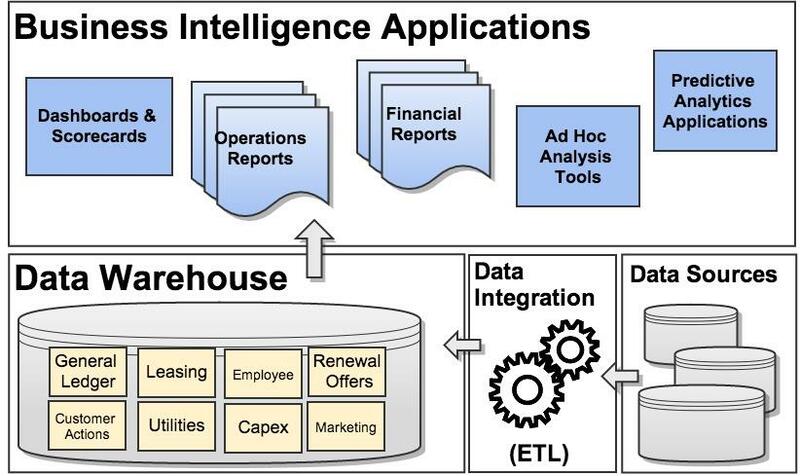 We prefer the Microsoft SQL Server Business Intelligence Platform for the database and data integration duties due to its widespread use in the multifamily industry, the maturity of its native and 3rd-party toolsets, its lower total-cost-of-ownership, and its effectiveness as a platform (most BI tools will work with SQL Server). For dashboards and scorecards, we advocate products from Dundas and Roambi. For data exploration and ad hoc analysis, we have found Excel to do an admirable job when pointed at a well-designed data model. Based on your budget, however, more advanced tools are available. We will bring to your organization the same level of passion, determination, and discipline that we brought to our own organization day-in and day-out for many years. The return on any BI initiative is difficult to predict due to a dependency on users changing their behavior (there is no return on insight if it isn't applied), but we can ensure that we will maximize your chances for success.